Brass doors have gained popularity from the Georgian and Victorian times and yet today they are popular because of the elegant features. The most popular thing about brass is the beauty of the metal. Brass doors can glorify the interiors of your home. 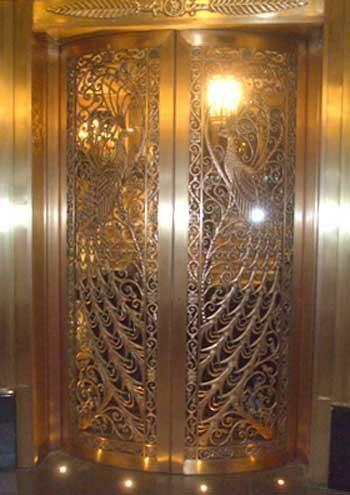 The most fascinating thing about the brass doors is their beauty. Brass door suits for traditional houses. Brass doors are mostly preferred by the house owners for security purposes. 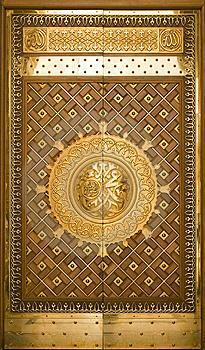 Brass doors are durable and have great strength. They provide artistic and elegant appearance. They are Resistant to rust. Depending on the thickness or gauge of the brass door sheet, they are good for security purpose. These doors have no effect of climate on the size as wooden door expand during rainy season. They can easily be clean by using soft cloth. These doors when dented gives bad look. Brass doors are suitable for only interiors as they fade away in harsh weather conditions. They require polishing to protect their surface. Their color fades with the passage of time. These doors have warm feeling in summer and cold in winter when they are touched. They need to polish after sometime. Apart from it, there are different types of finishes, which you can have on brass doors. This ranges from polished brass, gunmetal brass, standard brass and brass anodized. Although at end what meets your requirements and your needs.